Bishop Silvio Cevallos Parra at left and Mr. John Thomas, III, at right. 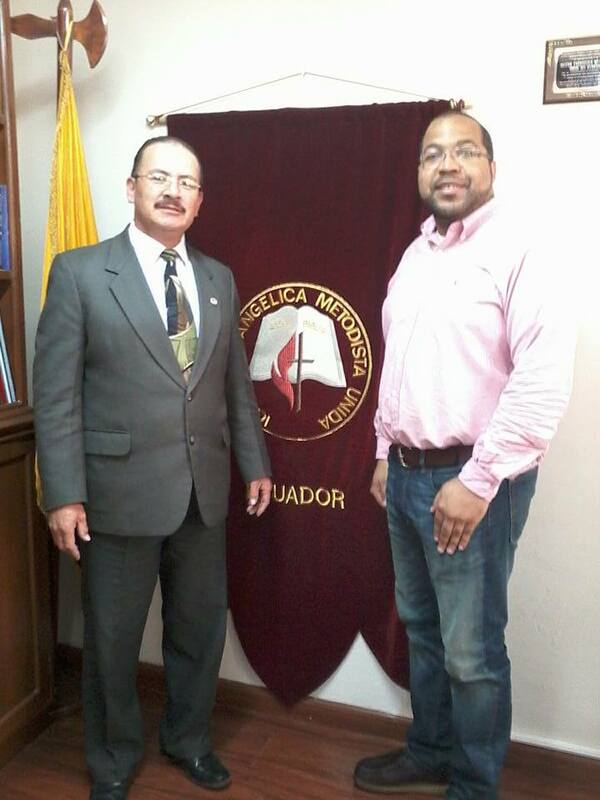 While in Ecuador for study and research, World Methodist Council Youth and Young Adult Coordinator John Thomas paid a visit to the Evangelical United Methodist Church of Ecuador Iglesia Evangelica Metodista Unida del Ecuador. Thomas met with Bishop Silvio Cevallos Parra to bring greetings from the World Methodist Council and the global Methodist/Wesleyan family, talk about the condition of the church, and invite the IEMUE to the 21st World Methodist Conference in 2016. While there, Thomas also meet with the local youth director Kary Llanos Coronel.